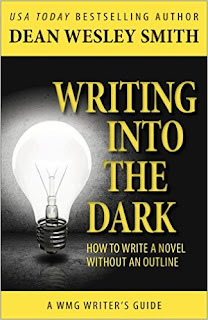 For several years, I've been worried that I was not doing something all the books on writing said I was supposed to do in the process of writing my novels, but it seemed to work out okay anyway. Recently, I read a book about writing. Suddenly, lights flashed, bells and whistles blew, and I got a huge confirmation that I'm really okay with what I do. 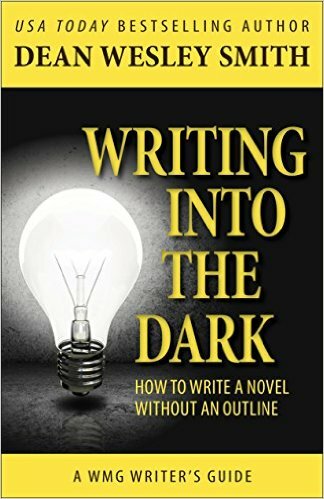 The book is Writing Into the Dark: How to Write a Novel Without an Outline, by Dean Wesley Smith. I'm a pantser, so I never outline anyway, but the truth is, I don't do extensive edits and rewrites, either. That latter fact is what had me so worried. Smith explains the difference between Creative Voice and Critical Voice, and says we should not give in to the prompting to use the Critical Voice (editing) during our writing process. The job of our Critical Voice is to stop us cold from engaging in risky business, and writing is very risky business! Rule #1: You must write. Rule #2: You must finish what you write. Rule #3: You must refrain from rewriting unless to editorial demand. Rule #4: You must put your work on the market. Rule #5: You must keep your work on the market until it sells. Smith gives tweaks of the rules if you are indie publishing. He also writes strange words like "practice," and "trust your process." That last one set off the bells and whistles for me. I will say the book rambles a bit and could have been tightened, but despite its structural flaws, I found it very affirming to me. There is a bonus section in the back from another book, Killing the Top 10 Sacred Cows of Publishing. The chapter about rewriting was the whipped cream on top of the milkshake for me: his process is exactly what I've been doing all along. I write the first draft. The second draft is spell checking, then I send it to beta readers. For the third draft, I touch up the things the readers found. Then I'm done. Bookmarked Bargains is coming Monday! Yes, it's nearly here. Dozens of ebooks in many genres by multiple authors will be available at super good prices for five days only, Monday, October 12 through Friday, October 16, 2015. You don't want to miss this sale! Lately, I've been listening to a lot of writers get hyper about the word was: how its usage in a novel surely marks the author as an amateur; how terrible it must be to have more than, say, 60 examples of was in a full-length novel; how we should all do a search in our manuscripts and root out the evil word was. No, I didn't misspell demure, meaning quiet and modest; shy, which many people think I am. Little do they know! I mean demur, to raise objection; take exception; object. Yes, I demur. And now I'll digress a bit, too. When I was in school, past tense had two forms: preterite (it can be spelled without the last e) and imperfect. Preterite is the simple past tense, like I walked. Imperfect has a helping verb, yes, often it happens to be the infamous WAS: I was walking. It could even be I used to walk. Now that grammar is much fancier than when I was young, preterite is called simply past tense and imperfect has been split into two, maybe three camps, depending on which source you cite. These are my buddy the imperfect, past progressive, and past continuous. Some people call past progressive progressive past. That's scholars for you, always changing things to get their name out there. The most commonly cited camp of the old imperfect is past progressive, but I like "imperfect," so I'll go with that in my discussion. Preterite or past tense is used to express actions that took place in the past. Bang! The action was completed. Done. Finished. Imperfect denotes a past tense with an imperfect aspect. The action is incomplete. It's ongoing in the past, or happened regularly or continuously until it stopped. This might be expressed with a verb ending in "ing": Mary was laboring for fourteen hours. Trust me, that's continuous and progressive, both. I studied Spanish in high school and really learned it when I served a mission for the LDS Church in South America. You might say I was learning Spanish the whole time I was there. (Aha! Imperfect!) Spanish makes no apologies for using both past tenses. They each have their use. Okay, back to why I demur about using the word was. Writers get told to use strong, active verbs to express their action. Yes. That is the best policy, and very handy to keep out passive voice. Most writers take this to mean they always have to use preterite tense. However . . . when an action is not complete, when it is ongoing, you just gotta use the imperfect tense, which could mean you gotta use was. I maintain that was is misunderstood, misused, and misappreciated, er, unappreciated, and using it not always leads to the dreaded passive voice. All the popular novelists use was. I say you can too! Within reason. Also, with reason. Knowing why you're using it, and all that. Agree or disagree? Tell me your side of this issue. You've got a book manuscript, newly finished or ripening with old age. You desperately want to see it come to life as a real book. You've seen those ads, either on the Internet or possibly even sent to your email inbox. They sing their siren song, "Come publish with us. We'll make your book real. You don't even have to submit it to a traditional publisher. Just pay us a lot of money, and we'll make sure your book is on Amazon and Barnes and Noble in no time!" Please, for the love of whatever you hold dear, stop up your ears. Do not heed that alluring come-on. Run fast and far away. That is not the way to self-publish! 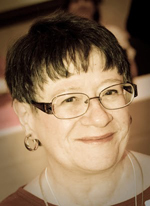 These days, the old self-publishing is called by a different name: Indie Publishing. That is where you call the shots, by independently publishing your book yourself, through the miracle of digital and online resources and companies, and with the help of freelance editors, book cover designers, e-book and print book formatters, and other helpful people. It's not easy, but it is a ton of fun, and well worth the effort. If you want to keep control of your work, and possibly make a little money instead of tossing it down a rat hole, you'll want to take this new direction. If you're willing to learn the ropes, you can go on a real "Indie Publishing" adventure. Most likely, you will be able to save a great deal of the money the vampires of publishing would like to move from your pocket to theirs. You will need to educate yourself; that's a given. You will need to decide the best path for you to take, and whether to learn vital skills, or to pay experts for the skills they already have. In any case, if you choose to educate yourself, you're not going to jump at a rotten deal that will cause you to be out thousands of dollars and left with a bitter taste in your mouth in twelve-months' time. Indie Author Hub has plans for Resource pages that will assist you in your journey toward indie publishing your book manuscript. While you wait for their appearance, go get a college education by reading posts over the last five years on author Joseph Konrath's blog here (frank language alert) or this brutally honest post about Indie Publishing by author Dean Wesley Smith here (don't get discouraged--read it to the end). Smith's tab for "Think Like a Publisher" is no longer found on his website, except for information on his book of the same name on this page, but the book is available at all booksellers. He also wrote Killing the Top 10 Sacred Cows of Indie Publishing (green cover), and the information on that book is also on that page. Two more things: never let go of your dreams, and hold on, the light will come.